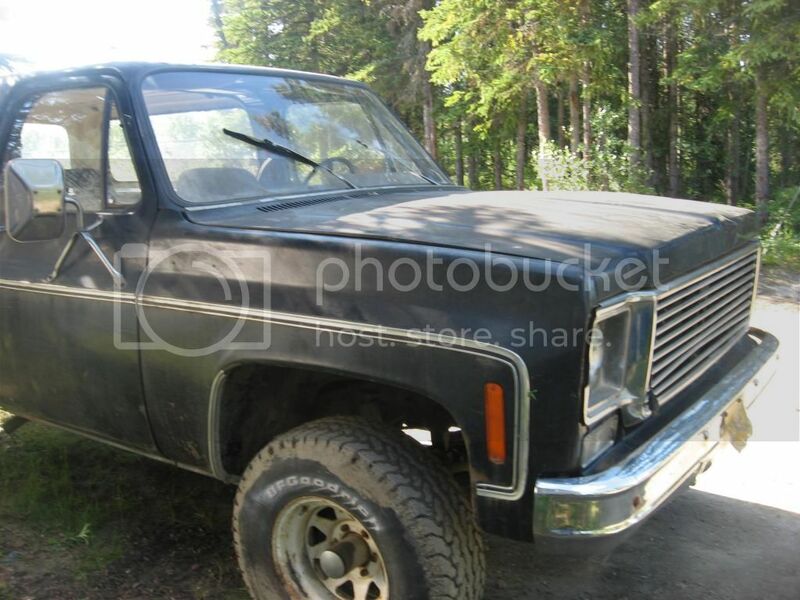 Hi guys, I have been a member here for a while and I just purchased a 1977 Chevy K5 Blazer with a 350 V8 and a turbo 350 transmission. It has been sitting since 2003 or maybe a bit longer. I got it home yesterday and got it running today. I still need to change the filter and transmission fluid before I drive it (they drained it prior to letting it sit, so I don't know it the transmission will still work). Any way, my plans are to get it going and fix the floor board rust holes so I can use this Blazer on our Ice Road to Kotzebue, Alaska this next winter (and to play around on the ice and snow of the river once it is frozen enough). So, the rust will stay for now. It seems to run well, but I have only ran it by pouring gas down the carb. It has headers and an aftermarket intake on it. Sorry for the big pictures, I am still learning how to post them here. 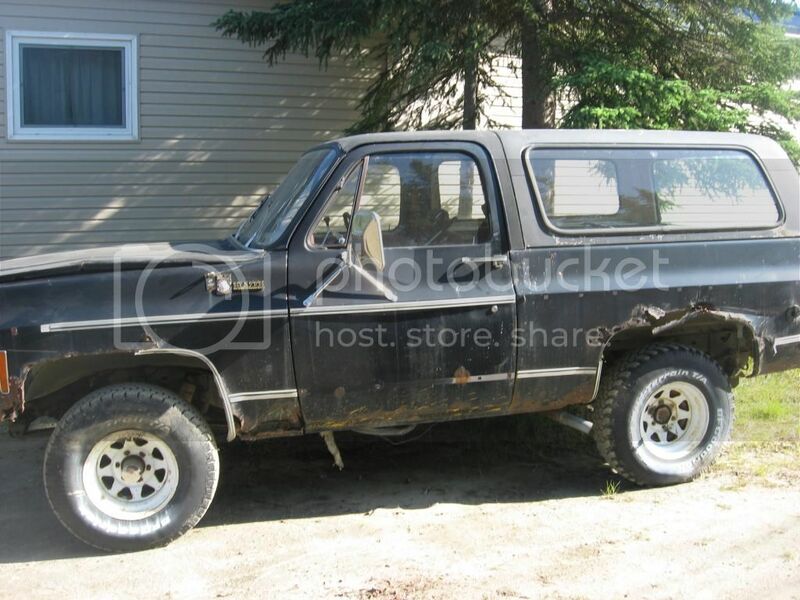 I will be tuning this Blazer up and getting it going and then I will add things as I can. And here is my work truck owned by my second job. I worked on it and got it going again (it had been sitting since last March). It is an ex Army truck and is a diesel. 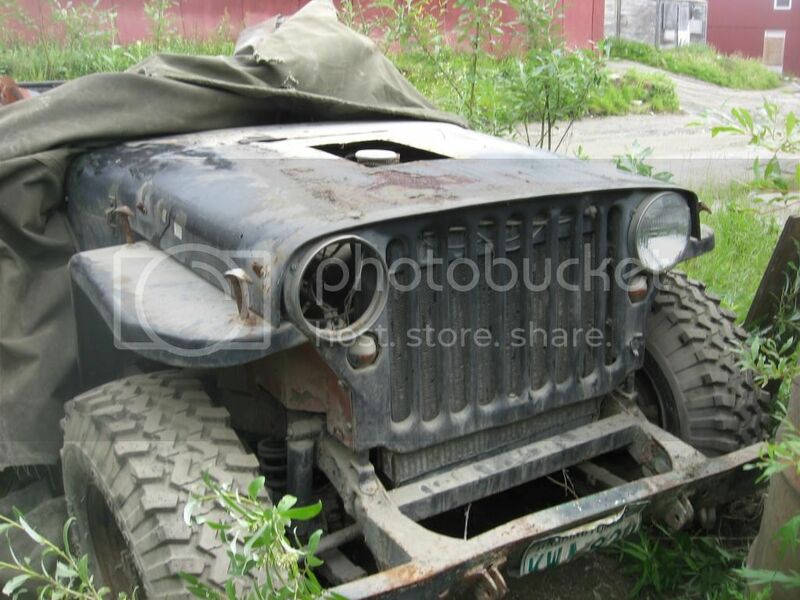 And I am trying to buy this Willy's Jeep with a small block Chevy V8 in it. I don't know if I will be able to, but it is another project I am trying to take on. It has been sitting since the late 90s or early 2000. 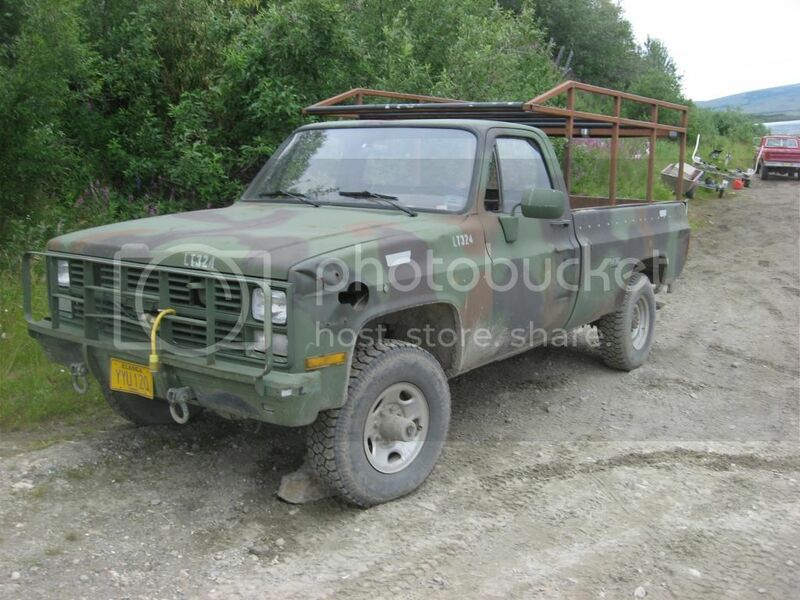 Oh, I forgot to mention that I am going to try to build this on a low budget too, so I will be trying to pick up some used parts around my village (I live in rural Alaska, so everything I buy has to be shipped in at greater expense than most places). Cool truck! I've run across a lot of those 5/4 ton chevs out in the bush. It seems like a lot of them went to rural governments after the military finished with them. What village are you in? I am in Kiana outside of Kotzebue. We have quite a few older Chevys and other trucks sitting around, so I plan to try to get some parts from the guys that own them. Looks like my old blazer when I got it. That willys looks cool and would definitely be a fun project. Subscribed! Thanks, I have to say that I like your projects too. I really hope I can make a deal on this Willys, but I am happy even if I just get my Blazer going so I can play around and drive on the ice road on the river this next winter. I hope to update this again soon. 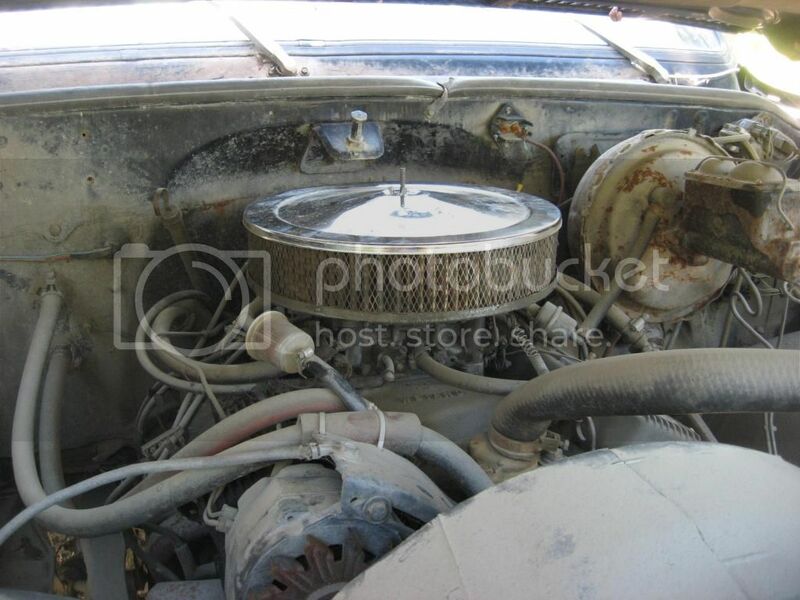 I have the filter and gasket for the transmission coming now. Well, I have ordered in all the tune up parts I will need to get my Blazer running better. I am thankful for RockAuto. It is cheaper through them for most of these parts for tuning up my Blazer. I have the transmission filter and gasket coming in tomorrow with a friend of mine (who I got the Blazer from) who went to Anchorage and offered to bring back a few things. However, I discovered that I am missing some transmission pan bolts, so I had to order those in too. (they drained the fluid when it was parked, so time will tell if the transmission will work or not. I will post more pictures once I get more done. Well, it looked like Christmas came early at my place. 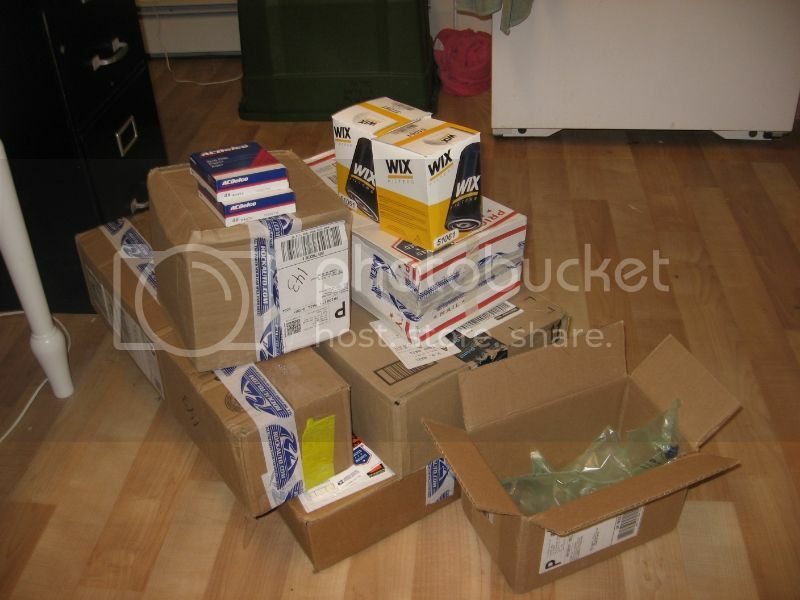 I received a bunch of parts for my Blazer so I can get it tuned up and running better. Now I have my work cut out for me this weekend.